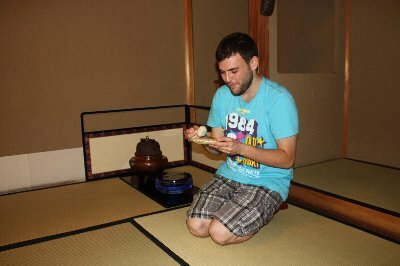 There are various kinds of service giving tourists chances to experience Japanese culture or traditional events. 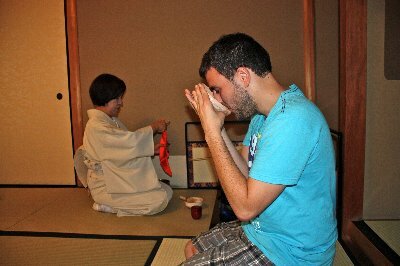 Tea ceremony is one of them. 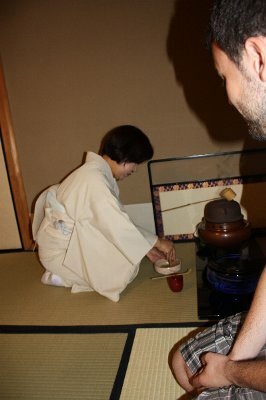 Attending an authentic tea ceremony is the one not to be missed. In addition to drinking tea itself, it has spiritual and artistic aspects. The ceremony has many procedures to follow, which leads to harmonious relationship between hosts and guests. 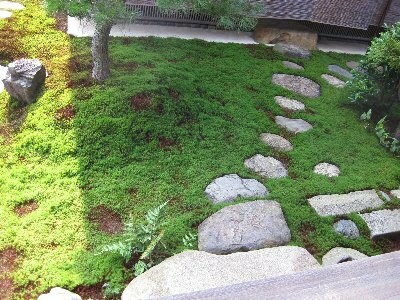 Its origin dates back to Muromachi period. And then, Sen Rikyu(1522-1591), a great tea teacher, completed the style of what we know as Tea ceremony today. He introduced Zen spirit into the tea ceremony and made it so-called Wabi-cha. which is based on simplicity and calmness. Formal tea rooms are basically in Japanese gardens. Stepping stones lead you to the room. In front of the room, there are somtimes waiting chairs and a water basin. What you see when you visit an authentic tea room is a window-like square door. It has a reason why it is made in such a small size. Of course I will explain it to you during our tour! 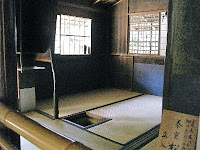 A tea room consists of 4.5 or fewer tatami mats . It is made very simply and please feel its simplicity. Make yourself calm and enjoy the tea and its spirits. I will be with you and help you enjoy one of our culture. Before having tea, we are served a sweet cake which shows you its season. The cakes vary in each season. By having what is sweet, the sweetness will make a good harmony with the bitterness of tea in your mouth. After your having sweets, a host makes tea for you. The front of the tea cup is set toward the guest. The guest( you) lifts the tea cup and turn a little around on the palm so that you can avoid drinking tea from the front in order not to stain. Why don't you try to have this authentic experience? I will assist you! The tour not spending so much!